Laptop Screen Repair Strathfield branch offers an express laptop screen replacement service for both LCD and LED screens. In as little as 15 minutes, you can have your laptop screen replaced on the spot. Regardless of the problem; whether it is blurriness, colour bleeding, or simply a smashed or blank screen, we can repair it onsite at your home, office or school. Laptop Screen Repair Strathfield offers same day, on-site service throughout Strathfield and the surrounding suburbs. Laptop Screen Repair Strathfield services the following suburbs in the Inner West. Contact Laptop Screen Replace via email, or call us for free quote. If you are satisfied with our quote, we will arrange an appointment at your preferred time and location. Our technician will arrive at your specified location at your appointment time. Within 15 - 20 minutes, your cracked, broken, damaged or dead screen will be replaced with a brand-new screen. 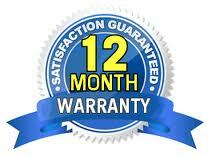 You will be issued a tax invoice, and all work comes with a 12 Month Parts and Labour Warranty. We want you to have complete peace of mind after having your laptop repaired by Laptop Screen Replace - which is why we offer you a unique 12-month warranty on all our repairs. The industry standard is only 3 months. So, if your laptop suffers from the same fault within 12 months, we will repair it for you free of charge, including both labour and parts. If for any reason it is not possible to repair your laptop under warranty, we will be happy give you a full, no quibbles refund for the original repair. Call us on 1300 829 893 or email us at info@laptopscreenreplace.com.au if you have any questions, or wish to arrange an appointment to have your screen replaced by Laptop Screen Repair in the Strathfield Centre. When you need your laptop fixed ASAP, Laptop Screen Replace can help! We can replace your laptop screen from 8am – 8pm, 7 days a week, ON-SITE at your home, school or office. Our expert technician will arrive at your preferred location at your appointment time, and within 15-20 minutes your cracked, dead, damaged or broken screen will be working like new! SAME DAY service is guaranteed, and you’ll never need leave your home or place of work! Just simply let us know your laptop brand and model number (this is generally found on the bottom of the laptop) when you contact us. The technicians are very friendly and nothing is too much trouble. Solid team that works hard to get your computer fixed ASAP. I must say laptop screen replaces service is excellent – great to have a company who can fix laptop screen onsite on the spot. it has been a pleasure dealing with laptop screen replace and I appreciate your service, my laptop screen is work as new now. A really fast, efficient and painless service! I will recommend you to all everyone i know. I am seriously impressed with the service from Laptop Screen Replace. Many, many thanks. Very impressed with your screen replacement service and follow-up. Who said fixing a laptop screen would be hard? Wow!! That was quick, only 15 mins and my laptop screen is new again… and on a Sunday evening too … very impressed. Thank you for making the whole laptop screen replacement process a lot easier than I had been led to believe! Excellent service, if you don’t mind me saying. Thanks very much indeed! I’ve had top notch service from Laptop Screen Replace and I just wanted to say how refreshing that is. If you have any questions or arrange an appointment for your laptop screen repair or replacement. Make and model of your laptop can be located at the bottom (base) of the laptop. E.g. Apple Macbook A1398; Toshiba Satellite L505D; HP DV6 1246.